Halo 5: Guardians Limited Edition 1TB Xbox One Console, LE Spartan Locke and Master Chief Controllers, and more announced at Gamescom 2015. The console is $500 dollars and comes with a 1TB hard drive and the console has Halo sound effects for when you power on, eject and power off the console. Now we’ve been told many times that pre-order bonus digital content is obtainable through regular gameplay progress. However I reached out for confirmation and found out that the emblem from the LE Halo 5 console is exclusive to those who purchase it, but the FOTUS armor can be earned by anyone through the REQ system. Those who buy the console just get it immediately on day 1. @ChiefCanuck FOTUS can be earned in-game. Emblem is exclusive. 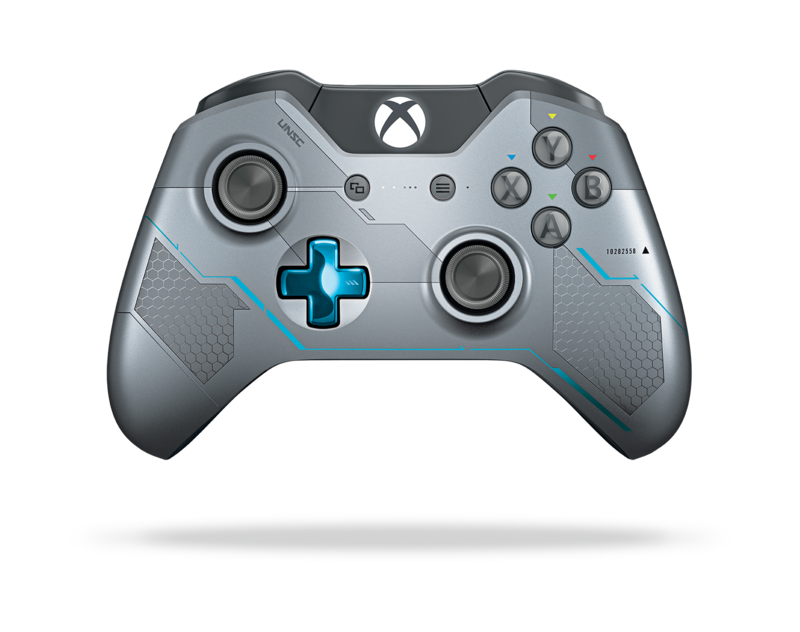 The console bundle also comes with a very cool limited edition Spartan Locke controller. You can also order this separately for $70. The controller comes with its own bonus REQ pack that includes the Resolute Visor. 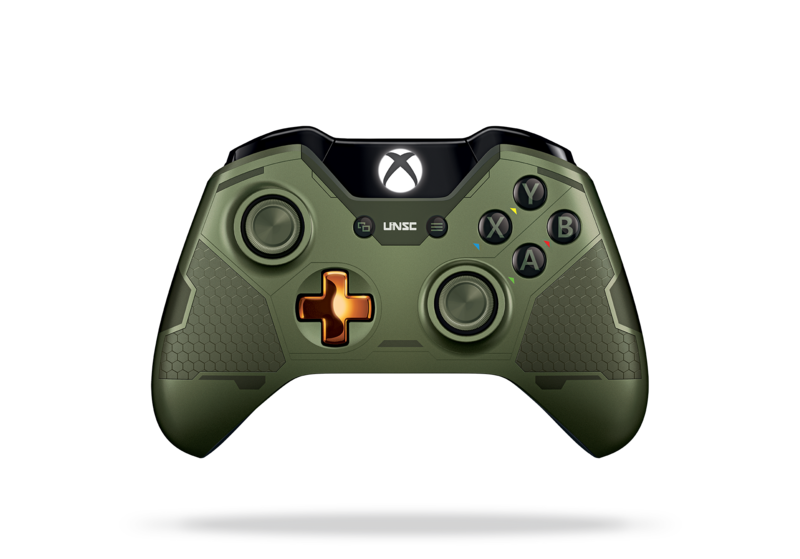 There’s also a limited edition master chief controller that you can buy separately. It too comes with a bonus REQ pack that includes the Dauntless Visor. Again, you might be able to unlock these on your own just by trying your luck with the REQ system. The controllers are set to release early in October and the Limited Edition Halo 5 console will release on October 20th, a week before launch to allow fans time to pre-load the game just like the LCE of the game. This entry was posted in Halo 5: Guardians and tagged Gamescom, Halo, Halo 5, Halo 5: Guardians, Halo5, Limited Edition, Xbox, Xbox One by Chief Canuck. Bookmark the permalink.